New Custom Face Painting Word Menu's Now Available! 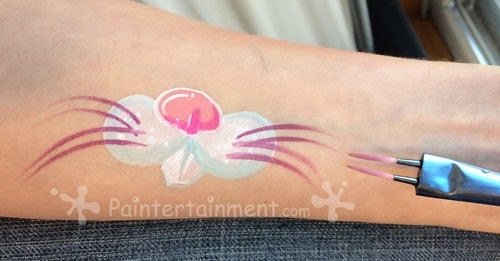 We have just added a very exciting new option to our shop...the ability to customize your own face painting word menu!! 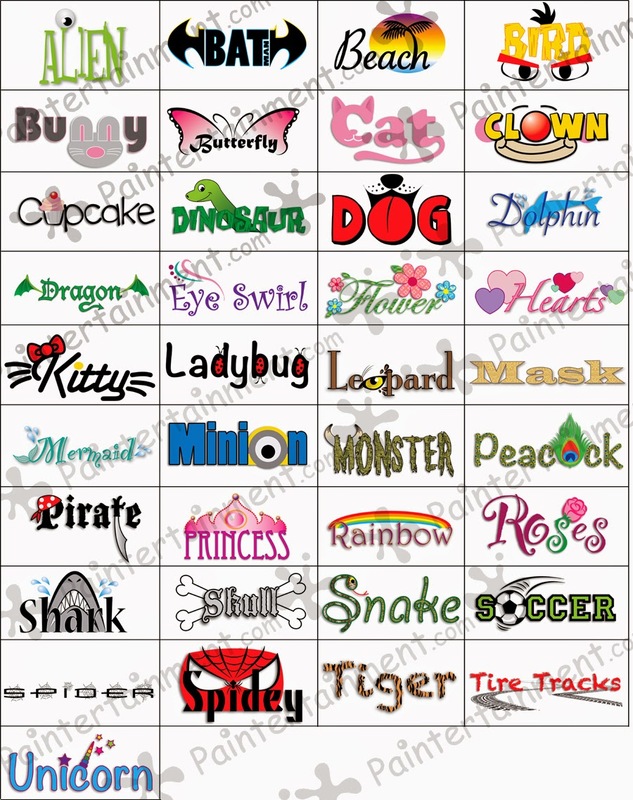 We have an assortment of custom designed word illustrations to choose from. Simply choose the size and orientation that you'd like your file to be laid out in, add the number of designs to your shopping cart that you'd like (just $1.00 each), let me know which words you'd like via email, and I will build and email you a custom file! You can then print it, laminate it, frame it, etc! You can also add your own company logo or text for just $3.00! 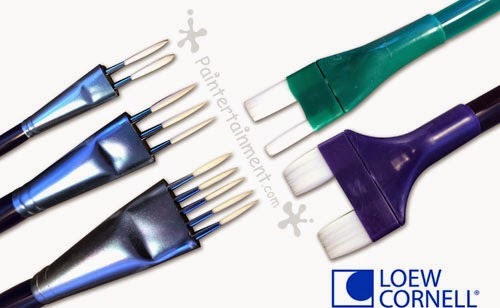 Fun New Loew-Cornell Double Time Brushes are Here!! I just received a new shipment of brushes today from Loew-Cornell and had a lot of fun experimenting with them! These unique styles are great for speeding up detailed patterns like stripes, plaid, fur, checkerboards, and more! Don't expect these to be around much longer, because this style of brushes were actually discontinued by Loew-Cornell back in 2005. I was able to get some of what they have left though, and am finding them to be really fun to experiment with! 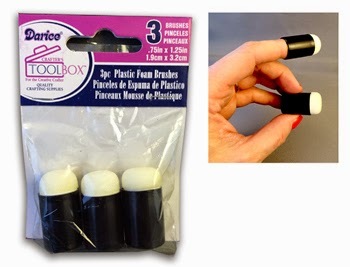 Each brush is available now for $5.00 each...for as long as supplies last! 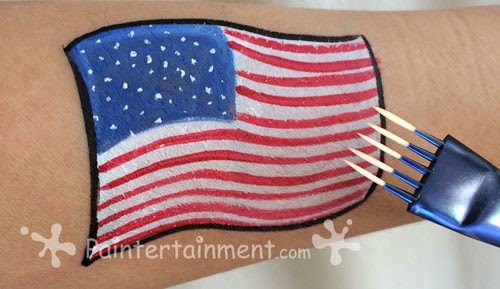 Flag - stripes and stars done with a 5-head liner! Can also do with a 2 or 3-head liner. Repeat overlapping lines for super quick and uniform lace designs! 5-head liner is great for musical designs, too! More New Goodies Now in the Shop! Four huge packages arrived on my doorstep today and I'm happy to announce that we have several new items now available! We now have the bee bodies without black tips! Now, joining our bear heads, we have BIG bear heads! 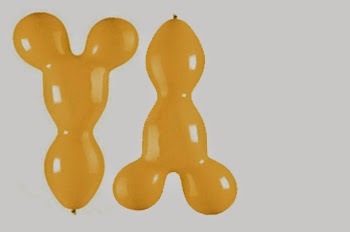 Flip them upside down and you also have an instant body AND head! 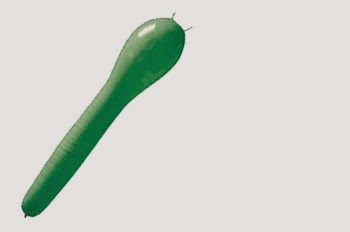 These caterpillar balloons are great not only for caterpillars, but make great butterfly bodies! 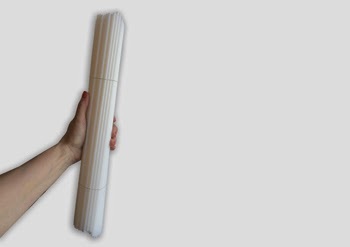 These 16" white plastic balloon sticks add a whole new experience to your balloon animals, giving the kids a stick to carry their animals and walk them around the room! 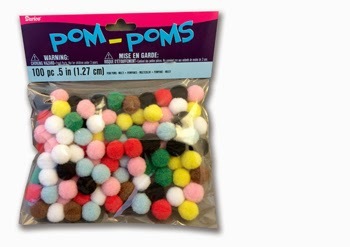 1/2" Pom Poms are super fun to put inside your clear balloons! We now have packages of 100 in multiple colors for just $1.99! 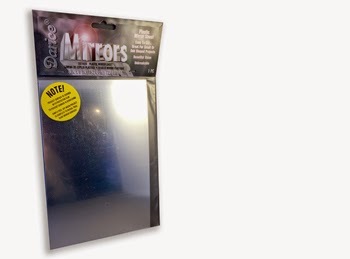 These cool, un-breakable, plastic mirrors measure 6" x 9" and are just $4.00 and can be cut with a scissor! 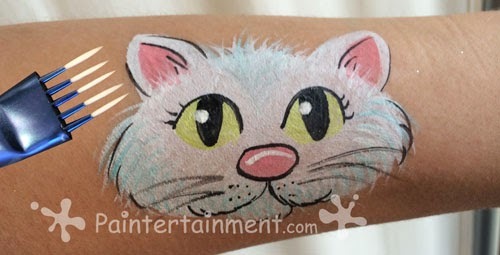 These are great for those of you who are customizing cases and turning them into face paint kits. They are super lightweight and can easily be mounted inside your case, or even can be used to replace a broken hand mirror! 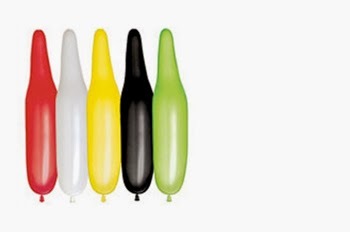 These cool little .75" diameter foam daubers fit right on your fingertips! You get three of them for just $2.50! We also just got in another big shipment of Global makeup, and hope to have some more Wolfe AND more new Loew-Cornell brushes coming in soon! Stay tuned for updates!